Sofitel Krabi Phokeethra Golf and Spa Resort, Thailand: The beauty of the emerald-hued Andaman Sea off Krabi meets French art de vivre at this underrated Sofitel outpost. Boasting 276 Victorian-style rooms and suites with spectacular views, the hotel is also home to a golf course, tennis courts, kid’s club and spa, not to mention private yachts and Thailand’s largest swimming pool at 7000 square metres. Adding to its family-friendly appeal is a line-up of restaurants catering to an array of taste sensations including Italian pizza, Thai and Indian cuisine. It’s also close to some of Thailand’s most picturesque islands such as Ao Nang, Phi Phi and James Bond. 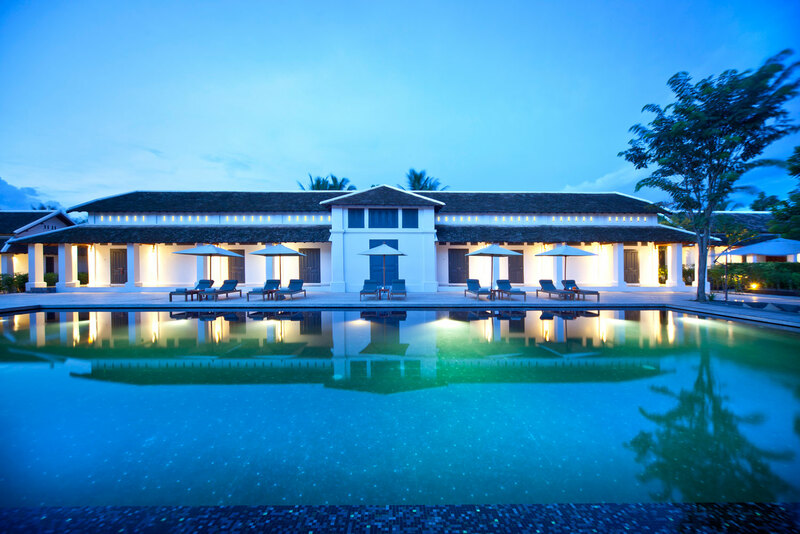 Sofitel Luang Prabang, Laos: Formerly the Hotel de la Paix Luang Prabang, this landmark stay in the heart of Laos with reopen in 2015 with the Sofitel tick of luxury. Originally built around 1910 as the local governor’s mansion, this 23-room property has since been converted into a lavish five-star stay on the doorstep of Old Town and a UNESCO World Heritage city. Balancing its rich history with an exciting future, Sofitel Luang Prabang will come with all the trimmings including indulgent suites, restaurant, bar, meeting rooms and swimming pool. 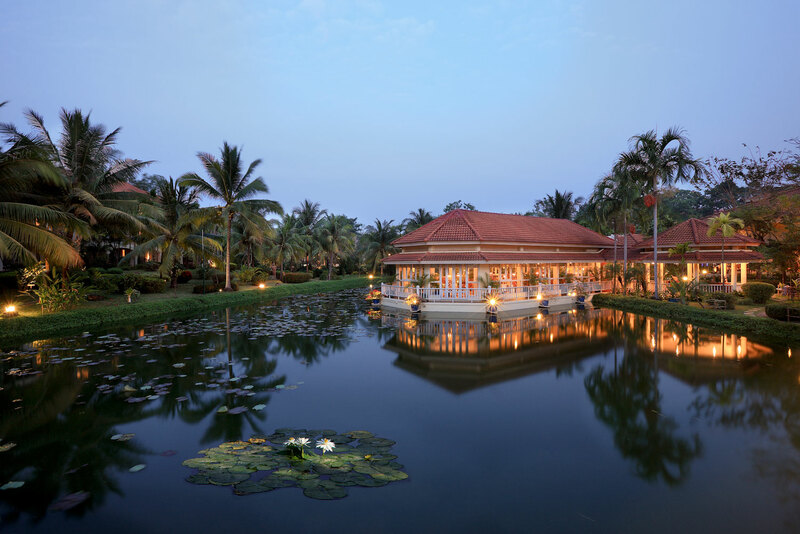 Sofitel Angkor Phokeethra Golf and Spa Resort, Cambodia: Overlooking the one of the modern world’s wonders, majestic Angkor Wat, is this very special Sofitel property. In contrast to the nearby ancient peers, temple towers and serpent-causeway at Angkor Wat, Sofitel Angkor Phokeethra is an oasis of French colonial elegance, complete with manicured gardens, striking swimming pool, LOccitane spa and 238 guest suites. There’s also the popular 18-hole championship golf course of Phokeethra Country Club, welcoming professionals and leisure golfers alike. Sofitel Legend Metropole Hanoi, Vietnam: A Grand Dame of Southeast Asia accommodation, Sofitel Legend Metropole Hanoi does colonial grandeur and timeless elegance like few can. Located steps from the Opera House in Hanoi’s French Quarter, this legendary property gives guests a taste of the opulence from another era. Behind its classical white façade and stately wood panelling resides over a century of experience and stories. The lavish suites and rooms here have welcomed many of the world’s greatest luminaries, and channel the charm and character of Old Indochina. And no stay at Sofitel Legend Metropole Hanoi is complete without indulging at Le Spa du Metropole – the hotel spa that specialises in French beauty therapies and healing Asian rituals. The hotel’s other great pull is its culinary offerings, with some of the city’s finest menus at Le Beaulieu (French cuisine), Angelina (Italian cuisine) and Spices Garden (Vietnamese cuisine). 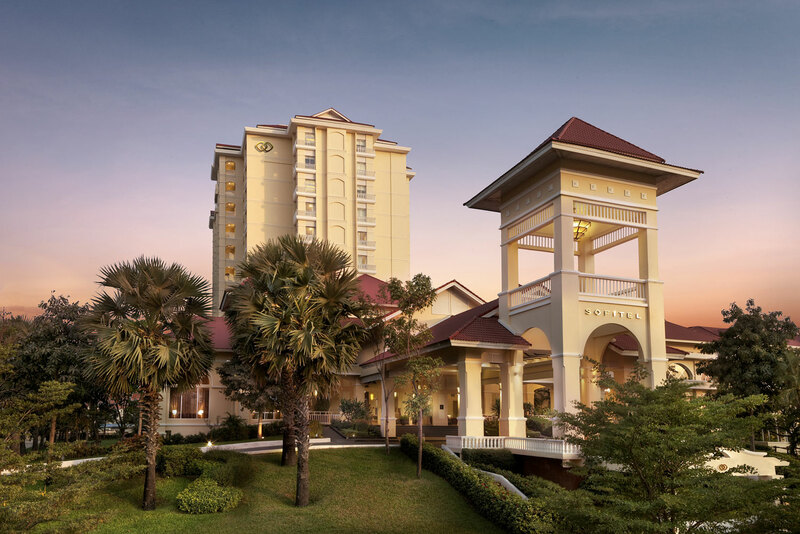 Sofitel Phnom Penh Phokeethra, Cambodia: Phnom Penh’s French colonial past can be seen in the charm and appeal of Sofitel Phnom Penh Phokeethra. Situated between the city’s government offices, embassies and a picturesque riverfront, the hotel is also minutes from landmarks and attractions like the Royal Palace, National Museum and Sisowath Quay. Inside however, French colonial elegance meets five-star comforts, which is reflected throughout the superior rooms, noteworthy restaurants and bars, blissful spa and an impressive 1800-square-metre ballroom – the largest in Cambodia. Guests also have extensive facilities of the Phokeethra Sports Club at their disposal. 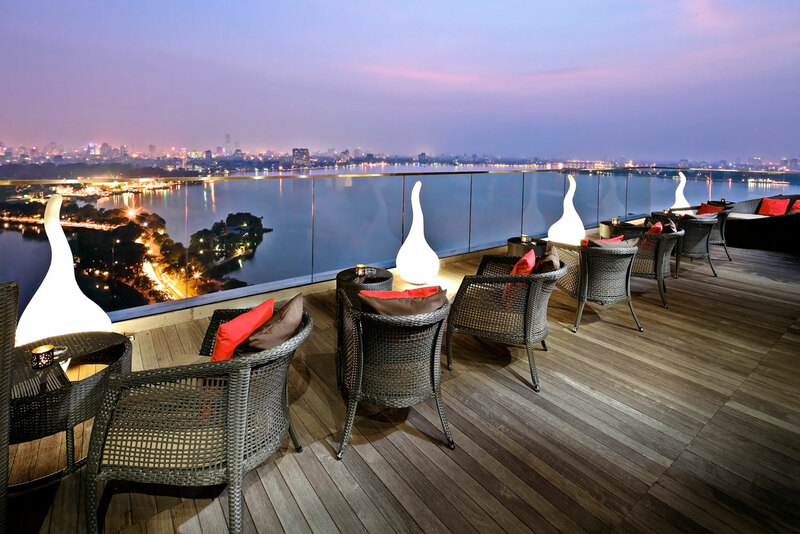 Sofitel Plaza Hanoi, Vietnam: Rising up between the watery expanses of Truc Bach Lake, West Lake and the Red River, Sofitel Plaza Hanoi is treated to uninterrupted, panoramic views of the city. Inside isn’t bad either. Taking advantage of the impressive vistas are frameless panoramic windows in each luxury hotel room and suite, alongside elegant interiors blending stately furnishings with Vietnamese touches and contemporary comforts. Especially popular amongst business travellers, Sofitel Plaza Hanoi also comes with expert business services, an executive club, conference venue and one-of-a-kind function spaces. Similarly, leisure travellers can soak up the newly renovated rooms, impressive dining outlets, and the convenience of the Old Quarter and city monuments just a short drive away. 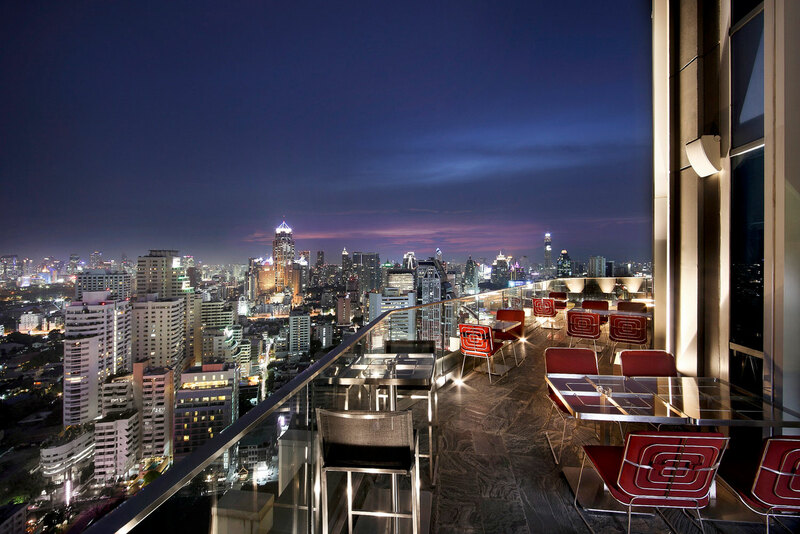 Sofitel Bangkok Sukhumvit, Thailand: Here you can celebrate L’art de vivre in one the world’s most vibrant cities and in one of its top hotels. Located on vibrant Sukhumvit Road, Sofitel Bangkok Sukhumvit is an extravagant five-star hotel in the heart of downtown Bangkok. Combining French elegance, opulent interiors, gourmet cuisine and personalised service, this old favourite among travellers is also popular for its location - surrounded by shopping and entertainment complexes, and a short walk to transport services. 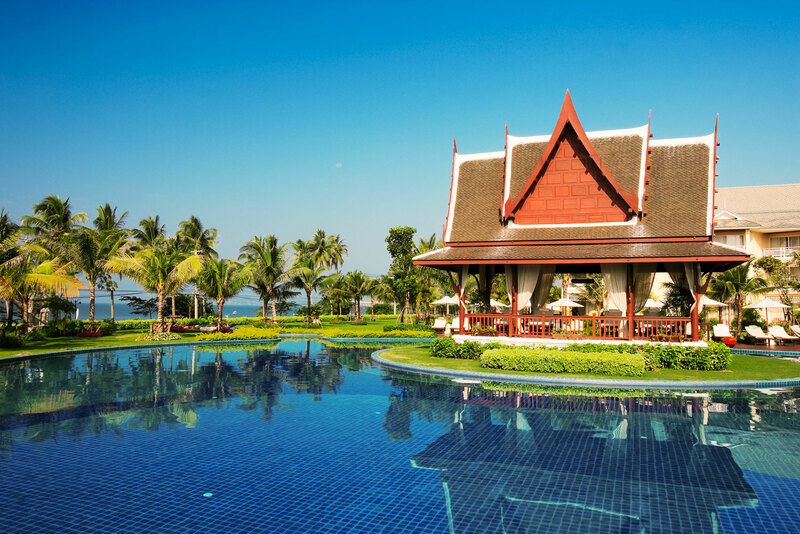 Sofitel So Hua Hin, Thailand: Situated in Thailand’s famed beachside district of Hua Hin – about three hours south west of Bangkok - Hotel de la Paix Hua Hin will reopen under the Sofitel name in 2015. And being part of Sofitel’s ‘So’ range, expect a boutique feel and the handiwork of revered designers. 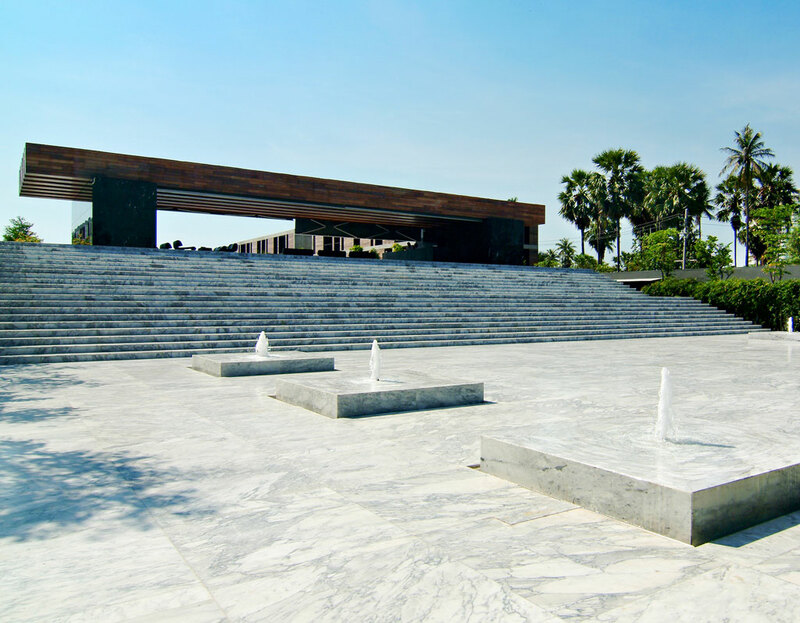 Think contemporary Thai design and iconoclastic architecture, alongside a manicured landscape and gracious courtyards. Once fully renovated, the hotel will also boast two restaurants, three bars, meeting rooms, two swimming pools, a spa and fitness centre. 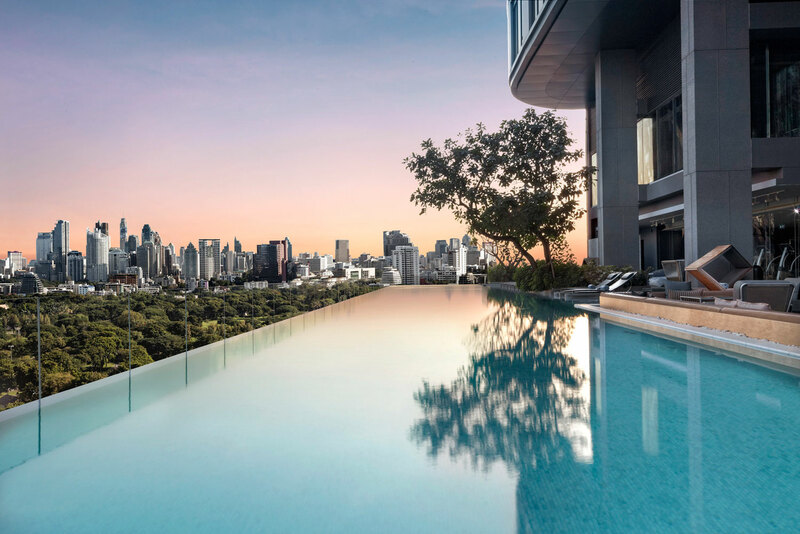 Sofitel So Bangkok, Thailand: Combining the styling expertise of famed designer Monsieur Christian Lacroix, an award-winning architect and five of Thailand’s leading designers, Sofitel So Bangkok is a visual delight. And as the city's first truly urban hotel, it brings together French luxury, warm Thai hospitality and serenity, on the door step of Bangkok’s vibrant non-stop buzz. Ringing in its 50th anniversary this year, French luxury hotel brand Sofitel is celebrating with some rather special new openings throughout Asia, namely Sofitel Luang Prabang. The newcomers will lift Sofitel’s already lengthy portfolio to over 120 properties – 40 of which sprawl across the Asia Pacific, ranging from Thailand, Cambodia and Laos to Vietnam and the Philippines. So in celebration of the luxury hotel giant, here we bring you some of Sofitel’s finest stays throughout Asia – the new, the ever-popular and the ones you didn’t even know about. Formerly the Hotel de la Paix Luang Prabang, this landmark stay in the heart of Laos will rebrand in 2015 with the Sofitel tick of luxury. Originally built around 1910 as the local governor’s mansion, this 23-room property has since been converted into a lavish five-star stay on the doorstep of Old Town and a UNESCO World Heritage city. Balancing its rich history with an exciting future, Sofitel Luang Prabang will come with all the trimmings including indulgent suites, restaurant, bar, meeting rooms and swimming pool. Situated in Thailand’s famed beachside district of Hua Hin – about three hours south west of Bangkok – Hotel de la Paix Hua Hin will rebrand under the Sofitel name in 2015. And being part of Sofitel’s ‘So’ range, expect a boutique feel and the handiwork of revered designers. Think contemporary Thai design and iconoclastic architecture, alongside a manicured landscape and gracious courtyards. Once fully renovated, the hotel will also boast two restaurants, three bars, meeting rooms, two swimming pools, a spa and fitness centre. A Grand Dame of Southeast Asia accommodation, Sofitel Legend Metropole Hanoi does colonial grandeur and timeless elegance like few can. 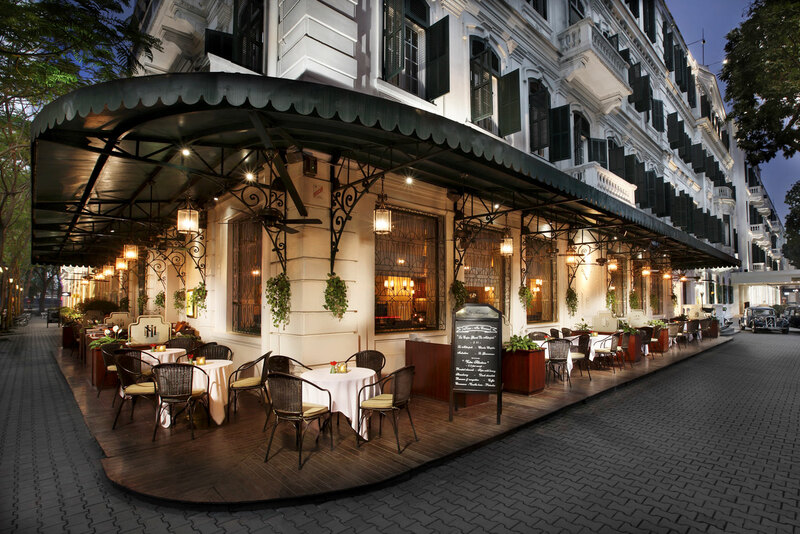 Located steps from the Opera House in Hanoi’s French Quarter, this legendary property gives guests a taste of the opulence from another era. Behind its classical white façade and stately wood panelling resides over a century of experience and stories. The lavish suites and rooms here have welcomed many of the world’s greatest luminaries, and channel the charm and character of Old Indochina. Le Spa du Metropole – the hotel spa that specialises in French beauty therapies and healing Asian rituals. The hotel’s other great pull is its culinary offerings, with some of the city’s finest menus at Le Beaulieu (French cuisine), Angelina (Italian cuisine) and Spices Garden (Vietnamese cuisine). Here you can celebrate L’art de vivre in one the world’s most vibrant cities and in one of its top hotels. Located on vibrant Sukhumvit Road, Sofitel Bangkok Sukhumvit is an extravagant five-star hotel in the heart of downtown Bangkok. Combining French elegance, opulent interiors, gourmet cuisine and personalised service, this old favourite among travellers is also popular for its location – surrounded by shopping and entertainment complexes, and a short walk to transport services. Phnom Penh’s French colonial past can be seen in the charm and appeal of Sofitel Phnom Penh Phokeethra. Situated between the city’s government offices, embassies and a picturesque riverfront, the hotel is also minutes from landmarks and attractions like the Royal Palace, National Museum and Sisowath Quay. Inside however, French colonial elegance meets five-star comforts, which is reflected throughout the superior rooms, noteworthy restaurants and bars, blissful spa and an impressive 1800-square-metre ballroom – the largest in Cambodia. Guests also have extensive facilities of the Phokeethra Sports Club at their disposal. Rising up between the watery expanses of Truc Bach Lake, West Lake and the Red River, Sofitel Plaza Hanoi is treated to uninterrupted, panoramic views of the city. Taking advantage of the impressive vistas are frameless panoramic windows in each luxury hotel room and suite, alongside elegant interiors blending stately furnishings with Vietnamese touches and contemporary comforts. Especially popular amongst business travellers, Sofitel Plaza Hanoi also comes with expert business services, an executive club, conference venue and one-of-a-kind function spaces. Similarly, leisure travellers can soak up the newly renovated rooms, impressive dining outlets, and the convenience of the Old Quarter and city monuments just a short drive away. Combining the styling expertise of famed designer Monsieur Christian Lacroix, an award-winning architect and five of Thailand’s leading designers, Sofitel So Bangkok is a visual delight. And as the city’s first truly urban hotel, it brings together French luxury, warm Thai hospitality and serenity, on the door step of Bangkok’s vibrant non-stop buzz. Overlooking the one of the modern world’s wonders, majestic Angkor Wat, is this very special Sofitel property. In contrast to the nearby ancient peers, temple towers and serpent-causeway at Angkor Wat, Sofitel Angkor Phokeethra is an oasis of French colonial elegance, complete with manicured gardens, striking swimming pool, LOccitane spa and 238 guest suites. There’s also the popular 18-hole championship golf course of Phokeethra Country Club, welcoming professionals and leisure golfers alike. The beauty of the emerald-hued Andaman Sea off Krabi meets French art de vivre at this underrated Sofitel outpost. Boasting 276 Victorian-style rooms and suites with spectacular views, the hotel is also home to a golf course, tennis courts, kid’s club and spa, not to mention private yachts and Thailand’s largest swimming pool at 7000 square metres. Adding to its family-friendly appeal is a line-up of restaurants catering to an array of taste sensations including Italian pizza, Thai and Indian cuisine. It’s also close to some of Thailand’s most picturesque islands such as Ao Nang, Phi Phi and James Bond.